How do you choose the best longitudinal data analytic method for testing your research questions? We have worked with statistical models for longitudinal data for more than two decades and this remains a vexing question to us both. 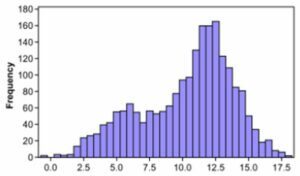 There are so many modeling options from which to choose that it is often overwhelming to know which statistical method to use when. This is further complicated by the ongoing refinement of existing models and the development of wholly new models as each year passes. To help orient researchers to these many options, we recently presented a professional development workshop at the 2019 meeting of the Society for Research on Child Development titled Longitudinal Data Analysis: Knowing What to Do and Learning How to Do It and are pleased to make the materials for this workshop publicly available. We hope these materials help researchers identify which longitudinal data analysis techniques are best suited to test various kinds of hypotheses, and to decide among the many different training opportunities that exist for learning how to use these techniques with greater confidence. What is the difference between a growth model estimated as a multilevel model versus as a structural equation model? This very common question reflects a great deal of unnecessary confusion about how to select a specific analytic approach for modeling longitudinal data. The general term “growth modeling” refers to a variety of statistical methods that allow for the estimation of inter-individual (or between-person) differences in intra-individual (or within-person) change. Often, the function describing within-person change is referred to as a “growth curve” or “trajectory” and can produce different patterns from person to person: trajectories might be flat (not changing over time) or they might be systematically increasing or decreasing in some linear or non-linear form over time. 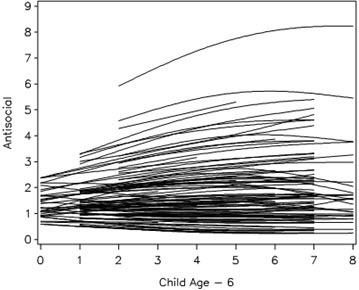 These trajectories might be the primary focus of analysis or they might represent just part of a more complex longitudinal model. Regardless of purpose, there are two general approaches most often used to fit growth models to sample data. How can I define nonlinear trajectories in a growth curve model? 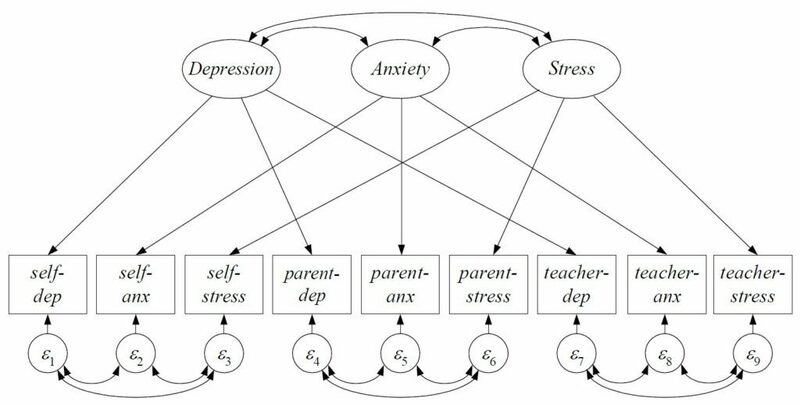 Growth curve models, whether estimated as a multilevel model (MLM) or a structural equation model (SEM), have become widely used in many areas of behavioral, health, and education sciences. The most common type of growth model defines a linear trajectory in which the time scores defining the slopes increment evenly for equally spaced repeated measures (e.g., values representing time are set to 0, 1, 2, 3, etc.). These values can be modified to allow for unequally spaced time assessments or to place the zero value at the beginning, middle, or end of the series, but the slope of the line always implies an equal change in the outcome per-unit change in time. However, many constructs we study do not change linearly over time. Instead of equal change per-unit time, there is often differential change with respect to time. 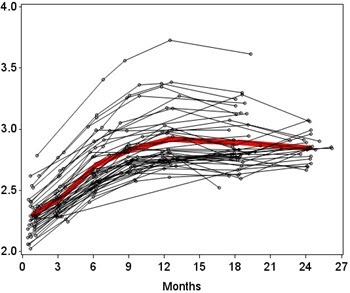 So there might be greater change earlier in time that then systematically slows (e.g., reading ability in young children), or the rate of change might increase positively but accelerate with the passage of time (e.g., substance use in adolescence), or the construct might slowly increase, peak, and then slowly decrease (e.g., heavy drinking in young adults). Regardless of particular form, it is critical that an appropriate nonlinear function be incorporated into the growth model to protect against making biased inferences about the nature of change over time. Fortunately, there are many options available to capture nonlinear change over time in growth models. How do I know if my structural equation model fits the data well? This is one of the most common questions we receive and, unfortunately, there are no quick answers. However, there are some initial guidelines that can be followed when assessing the fit of an SEM. For most SEMs, the goal of the analysis is to define a model that results in predicted values of the summary statistics (sometimes called “moment structures” consisting of the variances, covariances, and means of the observed variables) that are as close as possible to the values that were observed in the sample. SEMs that result in a closer correspondence between the predicted and the observed summary statistics obtain a better fit compared to models that do not.